"Accidental" Gear collapse on powering up? Save your Gear Doors and Retracts! Out of Channels... and Options? Reclaim 2 channels and up to 4 program mixes! or a high-end 10-channel into an X-treme 12 channel!! "The new EDR 125 is a must for any serious modeler. I love it! 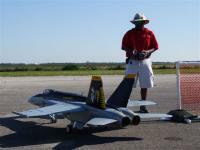 I presently have one on my new 107 inch F-18 Super Hornet. It has worked flawlessly, and continues to give me peace of mind from a gear collapse. 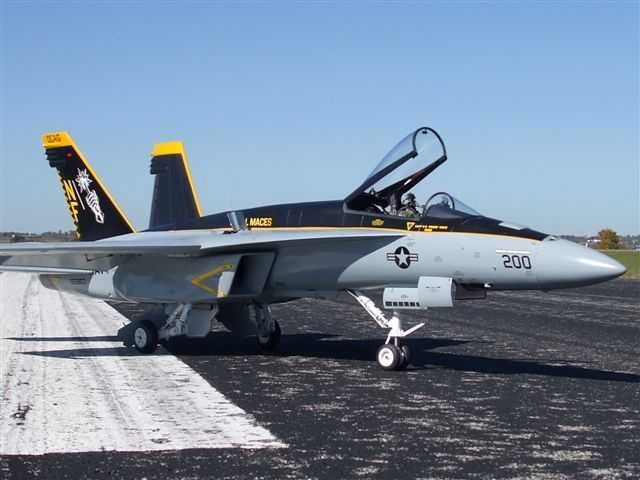 The Hornet has a multitude of doors, and it would be a disaster for the unthinkable to happen. 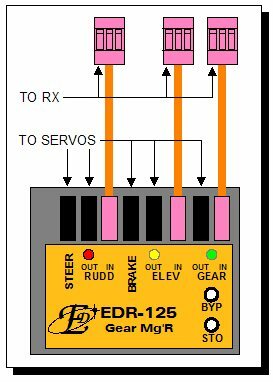 The EDR-125 also has enabled me to operate this very complicated model on just a nine channel receiver." No extra radio channels required for operation of gear, brake or steering. Plugs into your Rx's gear, elevator and rudder channels, no Y-harnesses or complicated connectors required! On power-up, even if the Tx is off, the gear is forced down. If the Tx is on, the gear must be commanded down for at least 3 seconds before the Gear Mg'R will accept a gear-up command. The gear will not respond to rapid up-down-up-down (panic?) flipping of the gear switch, only to a deliberate 3-second continuous gear down command to unlock the gear for retraction. Prevents fumbling on power up causing the gear to "accidentally" retract! After unlocking, the gear will operate normally, following the gear switch. This feature can be also used to lower the gear when unloading or assembling the airplane at the field, without the Tx or frequency pin! With the gear down, the rudder is mixed to the steering. Steering centering, throw and direction are fully programmable, employing our exclusive "natural, no-brainer" setup procedure using the Tx sticks. On gear-up command, the steering immediately centers for approx. 0.3 seconds before the gear servo moves to retract the gear. This allows time for the steering linkages to work, especially when using a pull-pull system (the cables go slack as soon as the gear starts retracting), before gear retraction commences. With the gear retracted, rudder-steering mix is canceled, and the steering is held and locked in center. This prevents pull-pull cable tangling and pushrod jamming. 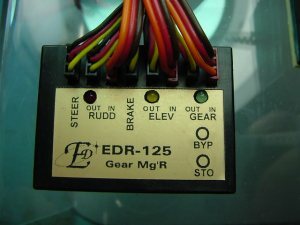 With the gear down, the brake is mixed with "down elevator". Brake endpoints are fully programmable using our "natural, no-brainer" setup procedure. The brakes are fully proportional, so you can use the EDR-125 with "smooth brake" systems. With the gear up, the brakes are held and locked in the "off" position. This allows full elevator operation without using up precious brake air! Gear operation is 2-position between "Gear Up" and "Gear Down", but proportional "beyond "Gear Down". This allows retract/brake systems that work on "Gear Down overtravel" to actuate the brakes. Saves 2 channels in addition to the above complex mixes. Turns a 7-channel Spread Spectrum radio into a 9-channel, a JR 9303 or Futaba 9Z into an 11-channel, a JR10X into a 12-channel. Turns a JR10X with the new Spectrum module or XtremeLink module (max. 9 command channels) into an 11-channel!